This page lists the firm public performance dates for Moira Kerr over the next few months. Her busy schedule of private events, to which the general public are not able to gain access, have not been included. If you would like to have further details or to book tickets for the public concerts, please contact Moira Kerr by e-mail. Moira Kerr with Sounds Celtic in a gentle mix of music as Moira presents a selection of music and chat at 10.00 to 12 noon GMT on Saturdays. The show is repeated at 1am to 3am on Sunday morning (10pm Eastern Standard Time in North America, for the benefit of listeners in US and Canada). 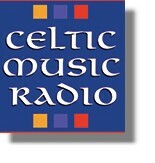 The program can be heard on 1530 kHz AM/MW in the Glasgow and surrounding area or live on the Internet via www.celticmusicradio.net. Just click on the "Listen Live" button on the home page. Listeners can also quickly get to the pages on the site with details of Moira's radio shows by using the site's search engine at the top of each page. And instead of having to tune in at the allotted times, you can use the "Catch-Up" broadcasts of Moira's recent shows at a moreconvenient time from anywhere in the world. 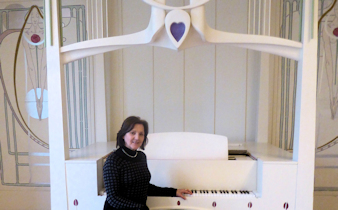 Moira will be singing once again "Round the Piano" in the Music Room at House For An Art Lover in Bellahouston Park, accompanied this year on piano by Kirsteen Henderson, with the songs of Baez, Beatles and Burt Bacharach. 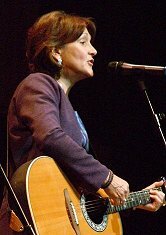 Moira will also include some of her own popular songs such as "MacIain Of Glencoe" and "The Island of Tiree". The performance is followed by three course lunch with glass of wine. The House for an Art Lover has more details.